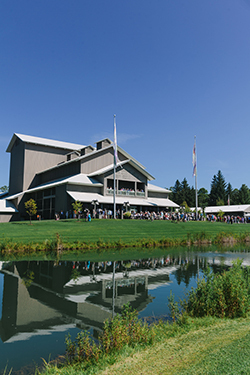 In 1985—one decade after its conception—Glimmerglass began site plans for a new opera theater to meet the demand of its growing popularity. The concept developed into what we now know as the Alice Busch Opera Theater. 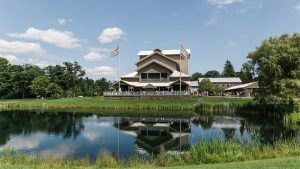 We had the privilege of sitting down with Don and Mary Ellen Fenner, two individuals who have been a part of the Glimmerglass community since the beginning and were present for the creation of the new opera house. These two contributed more to the opera than could be described in a job title: their passion for opera, Glimmerglass and the Cooperstown community were their driving force for decades of involvement. 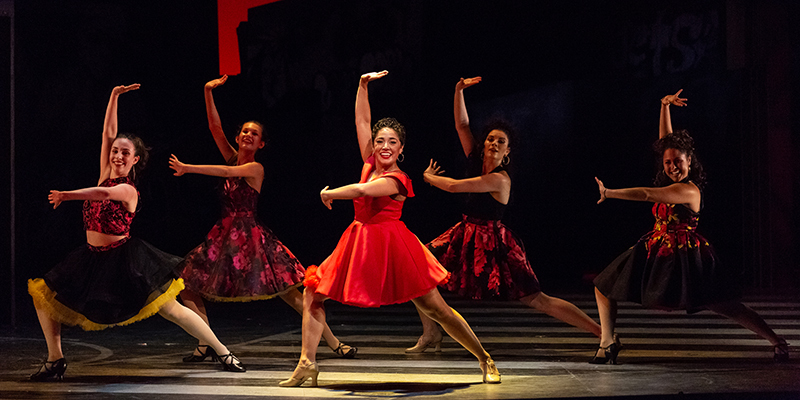 For today’s installment of #40to40, the Fenners remind us that behind the world-class performances at Glimmerglass, there is a community of inspiring people whose passion for the arts drive the Festival to its success every single year. 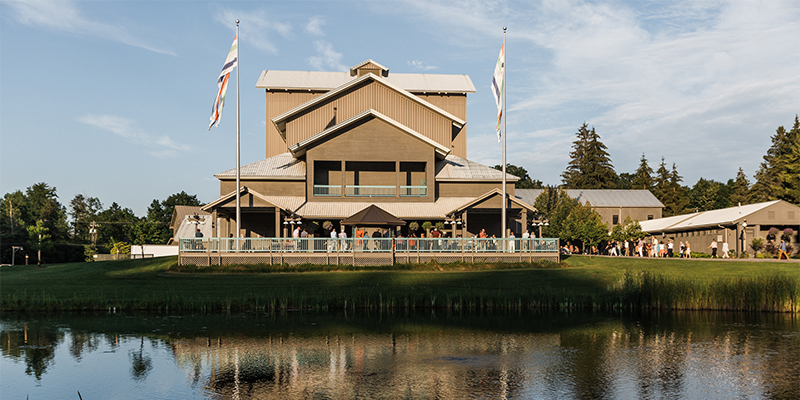 How did you first hear about Glimmerglass? Donald: I used to be a funeral director, and you know, that job required me to be around 24/7, 365 days a year… so I never got out much. Then, there was a young fella that started working for me who could take over so we were able to go to the Met. We would drive down in the afternoon, go to the Met at night, and drive back the next morning. And so a lot of people knew we liked going to the opera. 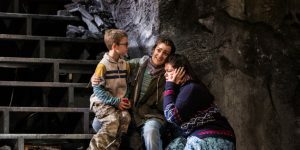 A friend who knew Tom Goodyear, who was one of the starters of the [opera] said, “Gee, Tom Goodyear is involved with the Glimmerglass Opera, and you should go see it…they’ve got La bohème on down there!” And I said, “Are you kidding me? In the high school? See an opera in the high school? I said no thanks” [chuckles] “And to my everlasting shame, we didn’t go. And of course, it got reviewed in the New York Times, and everyone was happy and excited about it. So, we went to every [opera] after that, sometimes more than once. How and when did you become involved? Donald: Tom was always looking for new people, and so it was Tom who got us first interested. Tom gave us Duke’s Oak, which was an absolute wreck at the time. No one had lived there for 12 or 15 years. He said he’d make me a deal that I couldn’t refuse, which he did. Then we gutted the place and put new plumbing in, new electricity, and changed it all up. We figured since we had six beds, five baths and more, we would keep opera people there. And that’s what we did! Every summer we would have bunches of different kids living there. Mary Ellen: I figured at one time or another we had 75 people dropping in and living with us in the summer. Donald: And we had fun. We fed ’em, and we would wash their sheets and everything. They would come home to Duke’s Oak after a performance, and we would sit on the back deck and have wine and cheese, and it was just wonderful. We had a lot of parties, and just had a good time. At that time, we had a little more time and a lot more energy than now, and we would have, once a week, LAF day: Lunch At the Fenners. And all the office staff would come over to our house, and we would have lunch for ‘em. And we also had a lot of “laughs”: everyone would tell jokes. Being at Duke’s Oak was just plain fun. Mary Ellen: It came after a while, we had the same people coming, so we really got to know them. Donald: I was at that point the head of building and grounds for the opera. So the house next door to Duke’s Oak was Spruce Haven. They turned Spruce Haven into an office. I oversaw the renovation for that office. So what did you do after being head of building and grounds? Donald: Well I was on the board. And then they had an adjunct board that I was on. I just liked being involved. And then the Guild got really big, and then the board was dissolved and now we’re a part of the guild. Mary Ellen at one point was head of the gift shop, and did the purchasing and the pricing and all of that..for how many years now? Mary Ellen: Oh gosh, for about five or six years or so. Donald: And then we’ve been involved with the Guild ever since.. and I’m co-treasurer now, of the guild. It’s been over 20 years! Mary Ellen: I have done all sorts of odds and ends, too…cooking and helping out anywhere. Could you tell me a little more about the beginnings of building the Alice Busch Opera Theater? How long did it take to build the theater? Donald: Not that long, I don’t think. There were a few problems at the beginning of construction, but we fixed all of it. Little things like that. The big thing was when moisture got in the pipes, they froze, and then they burst…so they all burst. We walked in there, and ice was covering everything. It was a hell of a job to clean it up. We got big heaters with fans and dried everything off. Donald: I’d say at least a week. 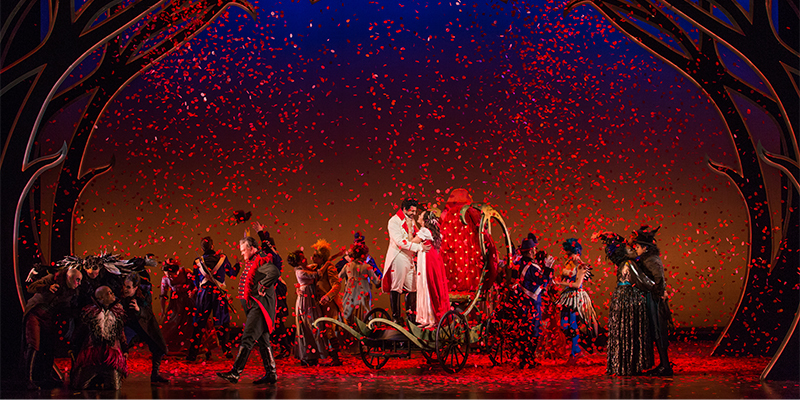 Mary Ellen: Right before the opera was in full bloom. But then no problems after that? Donald: Everything worked okay. It was a magnificent season . Don Giovanni was great. When they dragged him down to Hell, that was one of the best opera scenes I’ve ever seen in that opera house. The floor opened up, and smoke came out, and then these ghouls came up and dragged him down to hell. It was amazing. The whole thing was a huge success. Have you been to every season? Mary Ellen: Every single one. At least two of each opera. And usually we see the dress rehearsals too. to rival it, since. Glimmerglass for us was truly a labor of love. My thanks to all who continue to support the Festival by giving their time and financial participation.